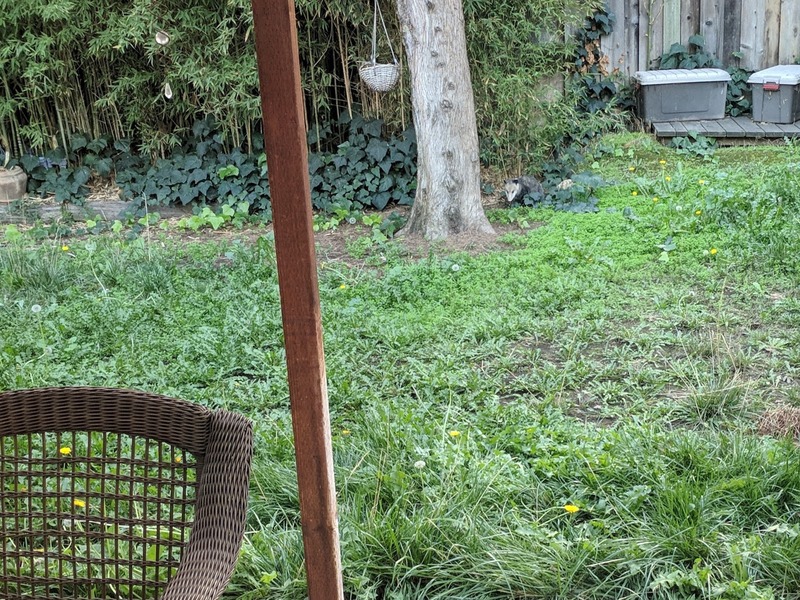 I was working at our dining table when I noticed something moving in the back yard. Indeed, it was an opossum. These guys look like a giant rat and are completely harmless. I expect that it will hang out here for a few weeks and then move on.